Time for some fun news! 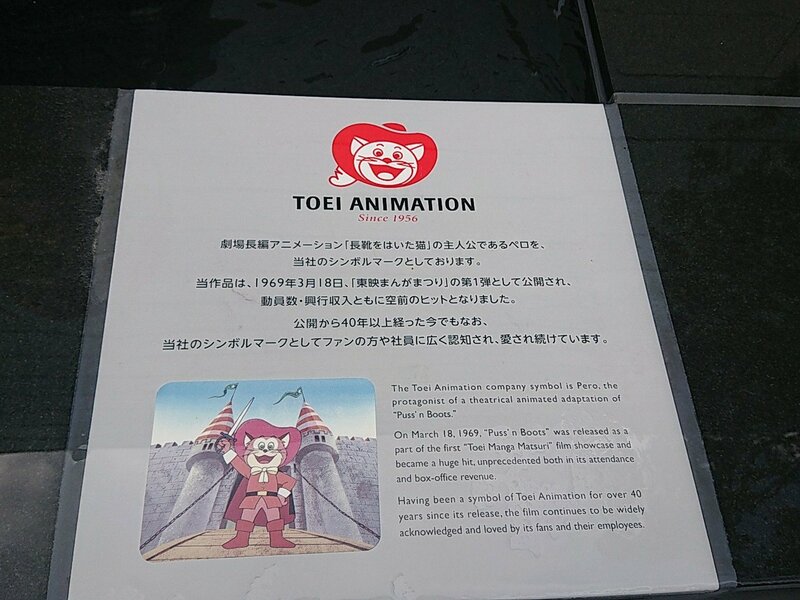 The Toei Animation Museum has ended it's early preview period for special guests and opened for the general public. 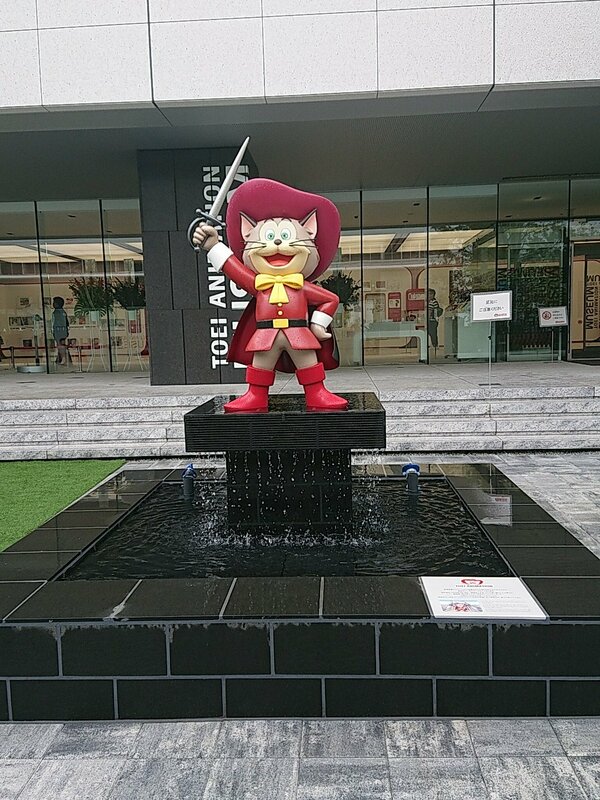 The museum is on the grounds of Toei's Oizumi Studio (their headquarters.) Oizumi Studio has historically been Toei's headquarters, except for the last few years as the old building was being replaced with a new one. 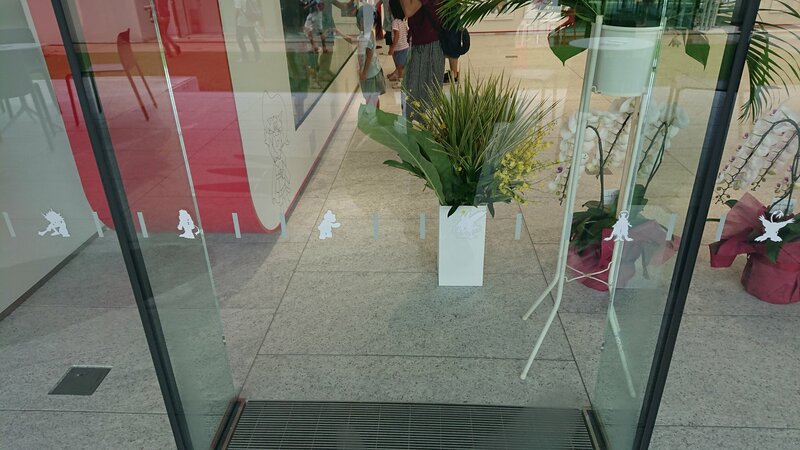 Ironically their temporary headquarters during this period was a place familiar to Digimon fans... Hikarigaoka. 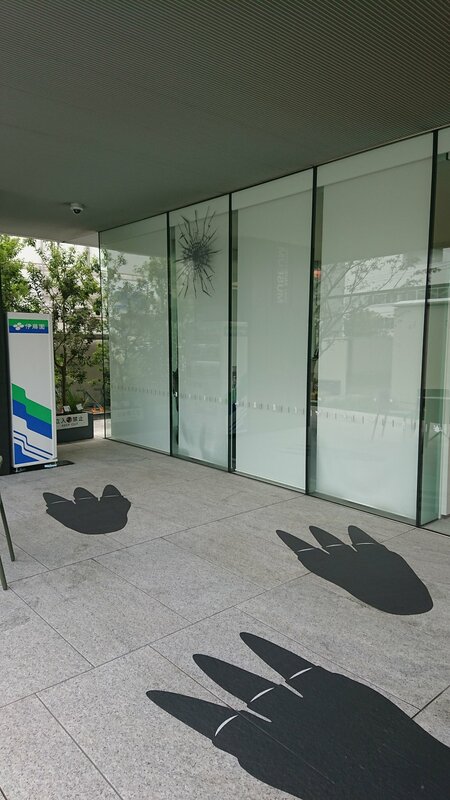 With the new Oizumi Studio opening last year, Toei has had the time to do other things on the grounds, including the building of a new museum, replacing the previous Toei Animation Gallery that was also at the Oizumi Studio. 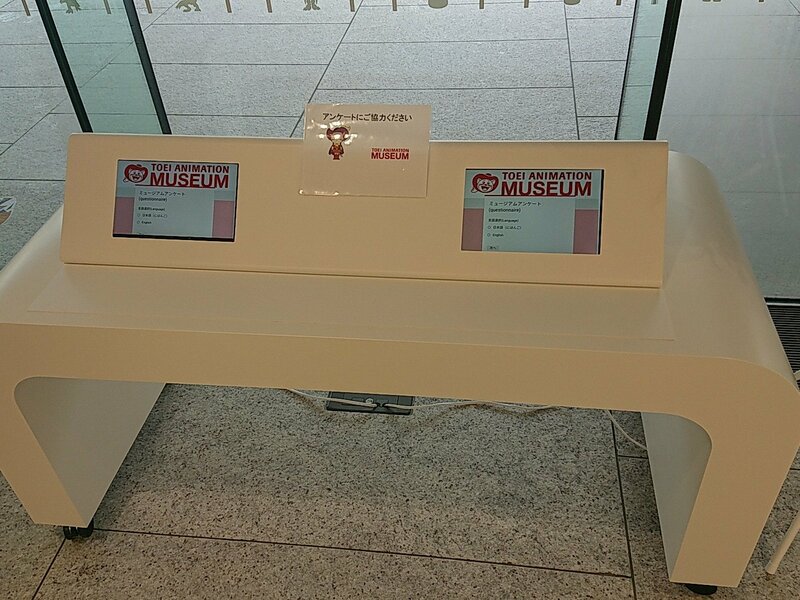 With the museum now officially open to the public, we're beginning to get our first look at where Digimon fits in. 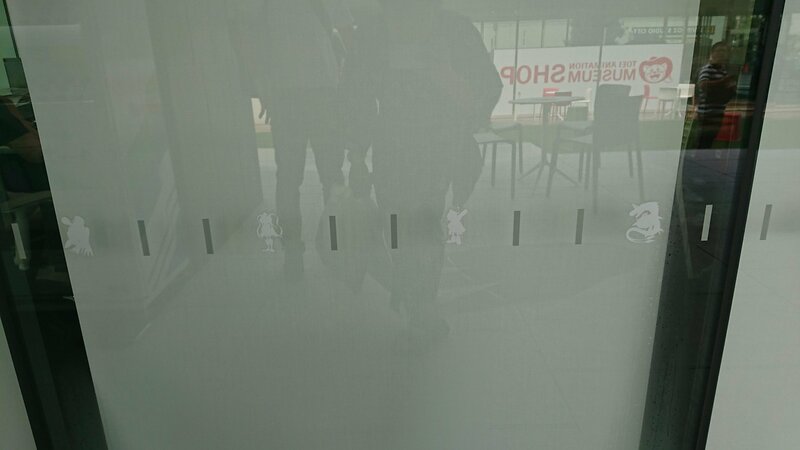 While there aren't photos of exhibits from inside the museum, there have already been a number of Digimon elements spotted. In fact, if you look at the photo of Pero above very closely, you might see something in the background... but we will get back to that. 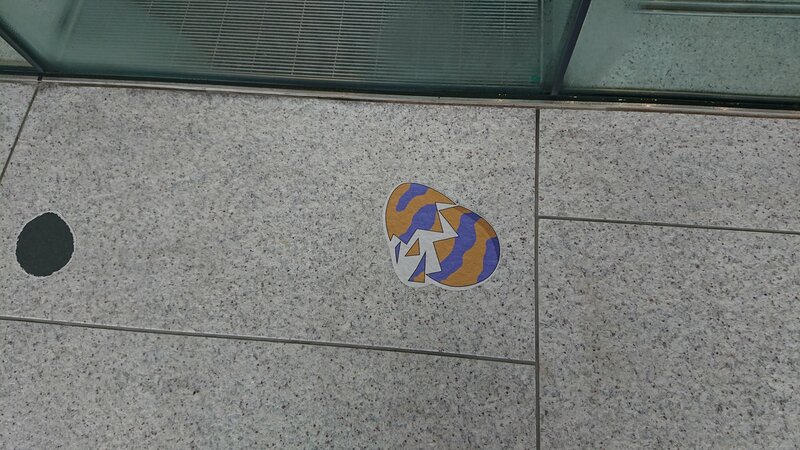 While we are only going to look over the Digimon elements, a quick look at the commemorative tile on the fountain to help explain who Pero is, since it's a major Toei element. 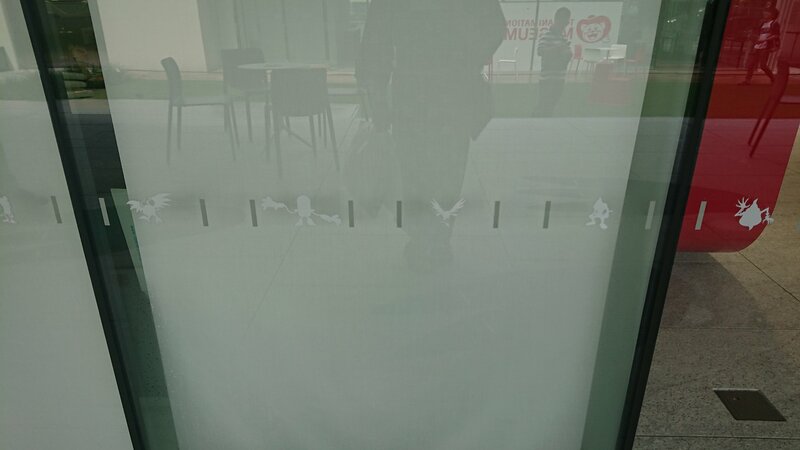 Around the glass windows of the building are silhouettes of numerous Digimon from Digimon Adventure! And if you look carefully, you can even make out that the order they appear in has been planned out. 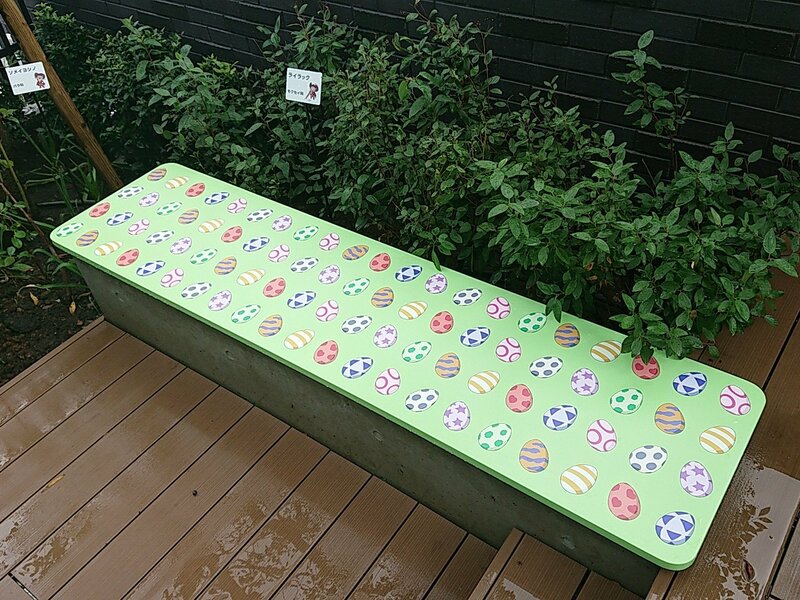 A bench for resting and looking around at the scenery featuring the digieggs from Digimon Adventure. Hey look... a familiar digiegg hatched! And he got bigger as he walked around... and bumped into a window. 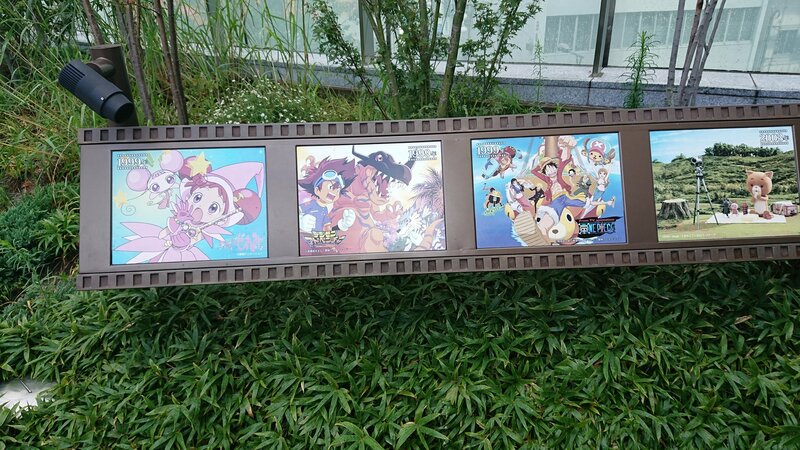 Last up is a small display outside showing a few different Toei animation works on a filmstrip frame. 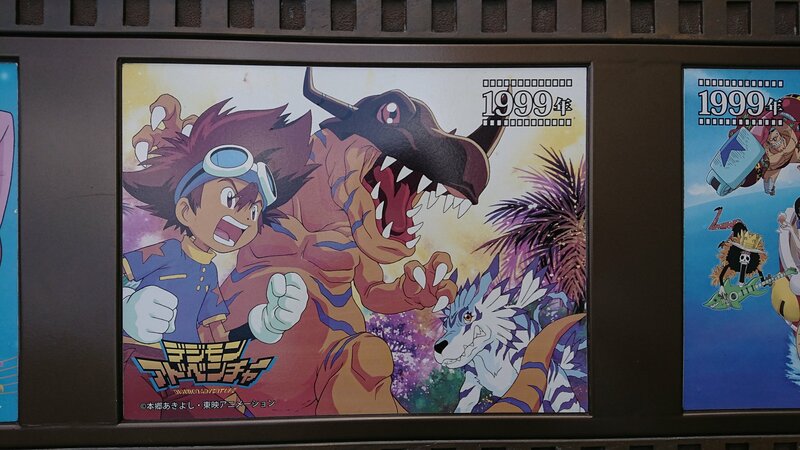 Digimon Adventure is included with very familiar key artwork. 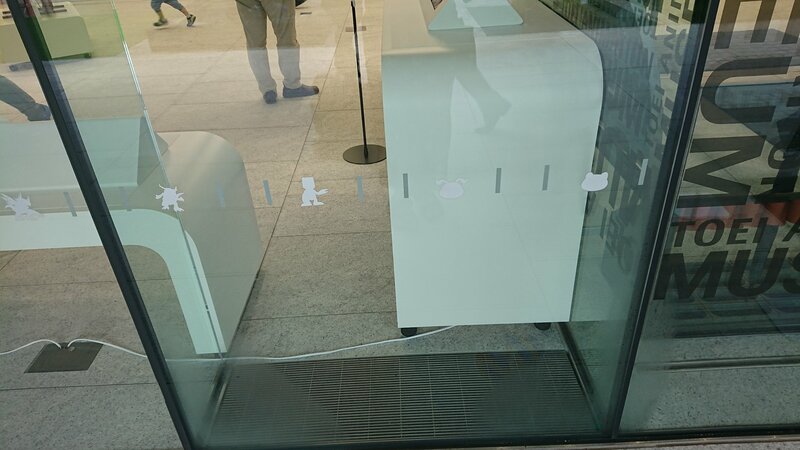 Hopefully we get to see more Digimon elements from the new museum as it looks fun. 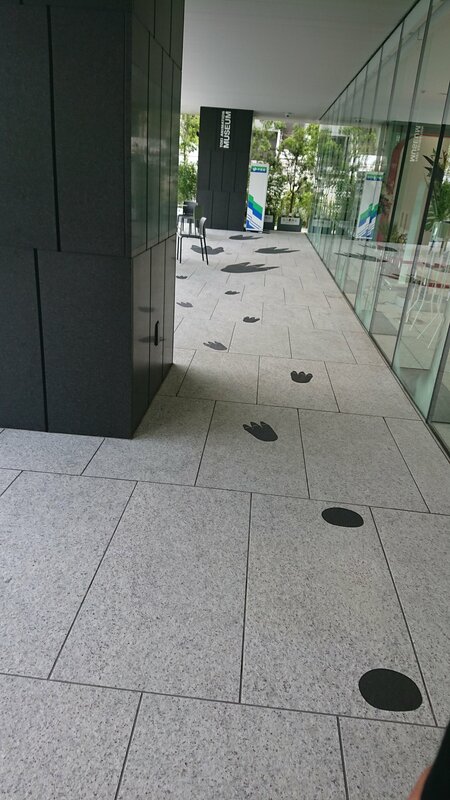 Thanks to susayan81 for the photos! Also thanks to ANN and SakugaBlog for additional info. Okay I'm going to Japan in October for a work trip so I hope I can get time to visit this! The official website for the museum (linked to at the beginning of the news article) has an English information page that may be helpful. I can read/speak Japanese so that's not much of an issue for me. Wow. This would be really fun to see. And I also like that walked into the wall joke. Little things and all that. 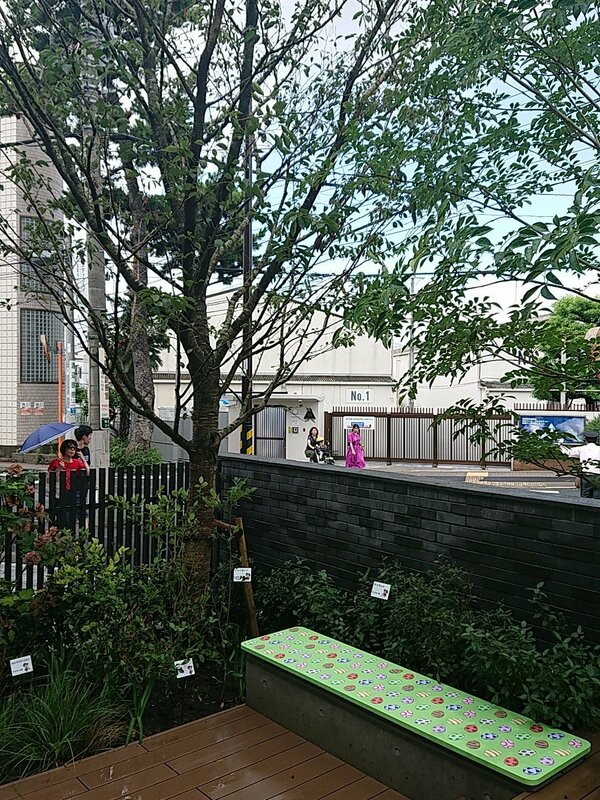 Want to report that I visited today (the closest station is Oizumi-gakuen Station) and while it's about a kilometer walk through the neighborhood the admission was free, you get a fancy little guess pass badge which makes a great keepsake and the exhibits were rather nice to read about and interact with.